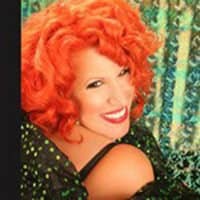 Bette Midler Celebrity Lookalike Impersonator Tribute Artist. All live vocals, Costume Changes. 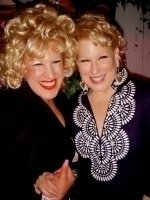 The most requested Bette Midler Celebrity Lookalike, Look Alike Impersonator, Tribute Artist in the Nation. Bette Midler Impersonator celebrity look alike. She is, now a member of AFTRA, has appeared on numerous television shows including: Saturday Night Live, the Wayne Brady Show, One Life to Live, Celebrity Apprentice and Maury. She has been in TV commercials for Bennigan’s and Ford Motor Co., appeared in Forbes magazine, was pictured with Bette Midler in the National Enquirer and was in the movie, “Radio Days,” with Woody Allen. She has performed at the Borgata, Trump’s and Harrah’s in Atlantic City, and Foxwoods in Connecticut. Her many satisfied corporate clients include: IBM, Coldwell Bankers, Macys and Sterling Drugs.